Hello! My name’s Victoria and I’m an ethical vegan and animal rights advocate. I’m from Eastern Ontario, Canada where I currently share a house with my amazing grandparents and beautiful 14-year-old adopted cat, Lucille — all of whom I love very much! My interests include anything and everything cruelty-free, animal rights, thrifting, personal style, hiking, simple cooking, baking, writing, movies, and music. I’m very passionate about animal rights, buying cruelty-free and vegan products, and living a cruelty-free life! I’ve always loved animals and my love of all animals, especially my companion animals, is what led me to want to live a 100% cruelty-free lifestyle. I started buying cruelty-free when I was a teenager, became a vegetarian when I was 20 years old, and I finally switched to a vegan lifestyle on April 6, 2018! I don’t wear any animal by-products — including fur, leather, wool, down feather, or anything else made from an animal — and I boycott any form of animal entertainment. I strive to live as ethically and cruelty-free as I can! 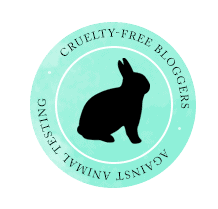 Victoria Kaitlin is where I talk about my experiences and thoughts on buying cruelty-free, being vegan, living ethically, animal rights, and more! Thank you so much to those of you who support and follow my blog, and also to those of you who share your comments! It means a lot to me and I love hearing from you! When I created this blog in August 2015, I never thought anyone would ever be interested in what I have to share; so thank you! Hi Victoria.. I’m loving your blog and have nominated you for a Liebster Award. For further info, please see here: http://kattoday.com/2016/03/07/my-liebster-award/.